Found one file extension association related to Quantity One 1-D and 1 file format developed specifically for use with Quantity One 1-D. Image acquisition from all Bio-Rad imaging systems is simple with Quantity One 1-D analysis software. 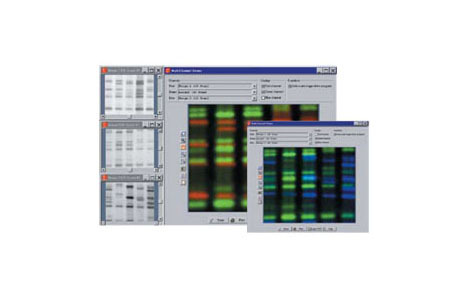 The software can acquire, quantitate, and analyze a variety of data, including radioactive, chemiluminescent, fluorescent, and color-stained samples acquired from densitometers, storage phosphor imagers, fluorescence imagers, and gel documentation systems. The software allows automatic configuration of these imaging systems with appropriate filters, lasers, LEDs, and other illumination sources. Its flexible tools allow automated analysis of 1-D electrophoretic gels, western blots, dot blots, slot blots, arrays, and colony counts for fast, high-quality results. If you need more information please contact the developers of Quantity One 1-D (Bio-Rad), or check out their product website.